MazaCoin (MZC) is an all new fork of the ZetaCoin project (a SHA-256 crypto) that branched from BitCoin. MazaCoin is the Official National Currency of the Traditional Lakota Nation (a Native American Tribe). As a Crypto-Currency, MazaCoin is uniquely qualified to hold and preserve the wealth of a sovereign nation. The forward looking and courageous decision of the Traditional Lakota Nation to adopt a Crypto-Coin as their national currency will pave the way for other countries in the world to abandon out-dated and dysfunctional forms of fiat currency. MazaCoin will create an economic foundation upon which the Traditional Lakota Nation can build lasting wealth and prosperity for their people. And MazaCoin will take it’s place in the world of Crypto-Currency as a solid Alt Coin backed by the unique legacy of an ancient culture and nation. MazaCoin is another historical first in the grand renaissance of money that is the Crypto-Currency revolution. The entire world will benefit from MazaCoin, and all are welcome to join our community. The BTC Oyate Initiative founded by Payu Harris will be the primary liason between the Traditional Lakota Nation and the MazaCoin Development Team. The BTC Oyate Initiative will organize and administer the National Crypto-Currency Reserve. The project has an over-arching goal of introducing Crypto-Currency into the reservation economy for the purpose of economic stimulation and growth. The MazaCoin Project is one aspect of this plan, a Crypto-Exchange haven and mining farms on Tribal Land is another. During the first phase of the MazaCoin pre-mine, the Traditional Lakota Nation as represented by the BTC Oyate Initiative will pre-mine 25 million MazaCoins as the starting point of a National Crypto-Currency Reserve. In the second phase of the MazaCoin pre-mine, the MazaCoin Development Team will pre-mine 25 million MZC as a starting point for the MazaCoin Tribal Trust. 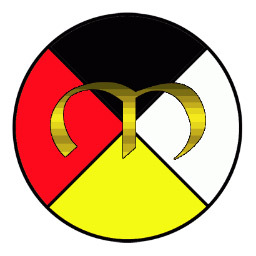 The MazaCoin Tribal Trust will give grants of MazaCoin to any Tribal member, business or charity of the Traditional Lakota Nation. Grants are set to be 1000 MZC for individuals, 10,000 MZC for businesses and 50,000 MZC for non-profit Tribal organizations. Thereafter around 1 million per year (inflationary).